Just the nicest people to deal with - and top class service and good vans. Had one for 6 weeks on a European tour and did 3200 miles with no problems. After just completing our tour of the nc500 in Scotland I was reluctant to hand back the campervan we had hired from capricorn Campers. The van itself was amazing and absolutely perfect for all our needs. We had great customer service from start to finish and would like to thank capricorn Campers for their great service and awesome Campers. I would recommend them to anyone wanting to hire a motorhome for their holiday as they have various vans to suit all needs . sad that we had to return the van as I absolutely fell In love with it but I will definitely be returning for future adventures . Hired a 4 berth Planet to go to the British Grand Prix. Have never been in a mobile home before. From the beginning very relaxed and professional service from Kelly and James. There was everything in the van that we needed, not that we planned to cook. Bed was very comfortable. My husband say's it was lovely to drive. Had a brilliant weekend, can't wait to hire again. Just returned from 7 days hire in the Galaxy 6 berth. Excellent vehicle, flexible and versatile, and so easy to drive with the automatic gearbox. Service was first class from Kelly and James of Capricorn Campers, would highly recommend this ethical company. Back home after an amazing trip covering 1200 odd miles through Belgium for the F1, Germany, Luxembourg and back into France to catch up with Mickey at Disneyland Paris. The van was simply brilliant! James and Kelly are an absolute delight to deal with and we will undoubtedly be using Capricorn Campers again in the future for stress free and hassle free motorhome hire. Thank you! I’ve rented Motorhomes for a number of years now and I have to say my recent rental with Capricorn Campers was by far the best experience to date. Great price, great service, great staff and absolutely perfect product. The latest fleet of Motorhomes available are top of the range and exceeded all my expectations. Will I be using Capricorn Campers in the future? A very easy decision – see you next year. Thanks a million. Wow, what a friendly service! Allow an hour for handover as stated. Not because you'll get bogged down with formalities (that aspect was actually quite quick), but because their enthusiasm for the vehicle they are hiring out to you, and the fact they genuinely do care about you having a carefree break means you'll be given the utmost attention in regards to the many and varied questions you'll undoubtedly have! We took the smallest vehicle in the fleet (The VW) to the North York Moors for a long weekend, and it suited our own needs perfectly. 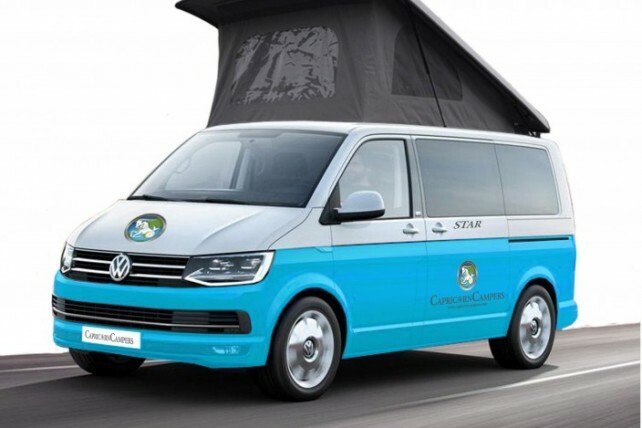 It was our first ever experience of hiring, driving and using a campervan, so we would like to thank Capricorn Campers for making it such a pleasant, easy and stress free occasion! Everything from the online booking, the vehicle familiarisation and the return formalities was first class! I would like to take this opportunity to say what an amazing short break we had in your motorhome. It had everything we needed and was perfect for our break. Our children had such an amazing time and they can't decide if they enjoyed our trip in the motorhome to the Lake District or holiday in Florida the most!! We are very much looking forward to doing it again and would like to thank you for being so helpful and understanding especially on a late return. We absolutely loved it. We just wanted to say a big thank you for a very professional and friendly service. As you know we were first timers in the campervan world but your expert advice and run through of the vehicle ensured a relaxing and trouble free weekend. The look of surprise and delight on my daughters face on pick up was worth the cost on it’s own! You will certainly be our first choice as and when we decide to take another trip.